England captain Wayne Rooney is expecting a third child in January with his wife Coleen to join their two young sons Kai, five, and two-year-old Klay. 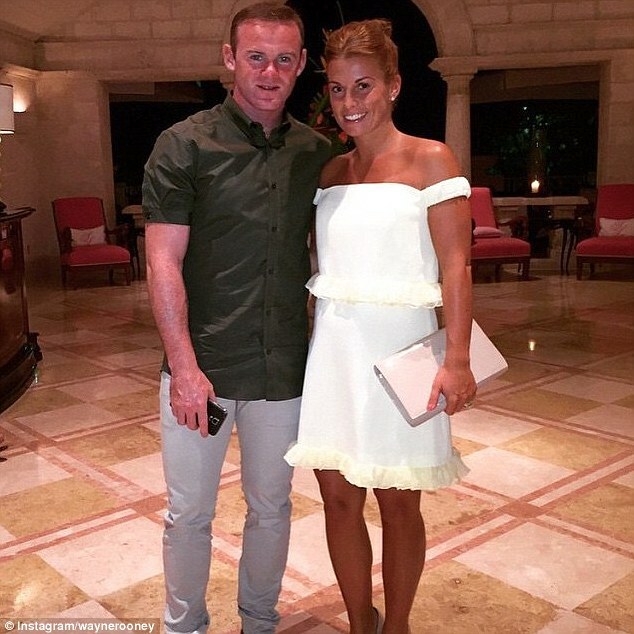 The 29-year-old, who has been with Rooney since they were 12, spoke out earlier this year about the couple’s hopes for another child to join the family. ‘I would love another baby!’ she said. ‘I don’t mind whether it’s a girl or a boy but I do think a little girl would complete our family. Rooney, 29, is currently preparing for the new season with United as Louis van Gaal looks to overhaul Chelsea in the race for the Barclays Premier League title. Previous article Mila Kunis Pregnant Again? Are the Celebrity Pair Expecting Twins? Mila Kunis Pregnant Again? Are the Celebrity Pair Expecting Twins?